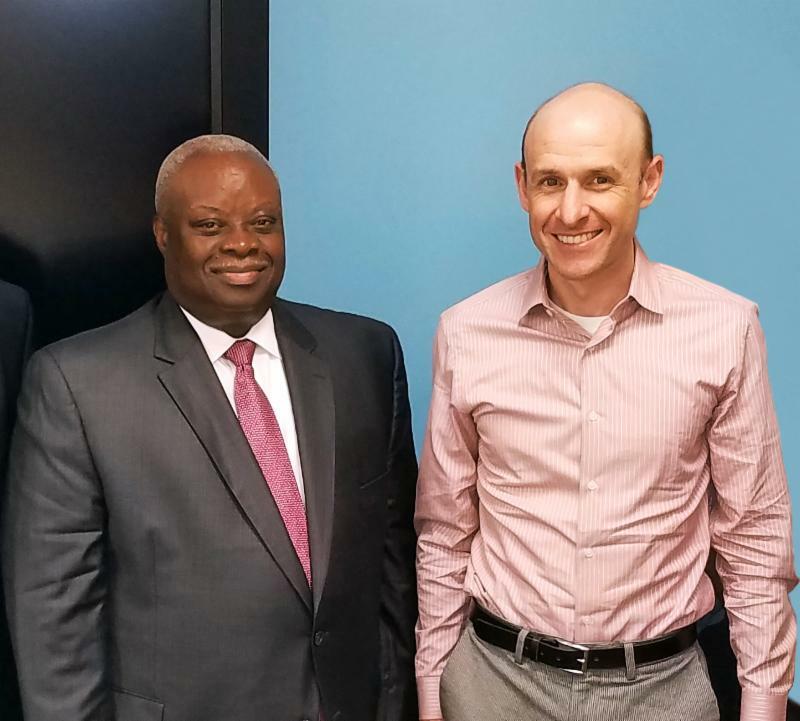 U.S. Virgin Islands Governor Kenneth Mapp (left) with Darren Scott, United Airlines' Senior Manager for Latin America Network Planning in Chicago this week. 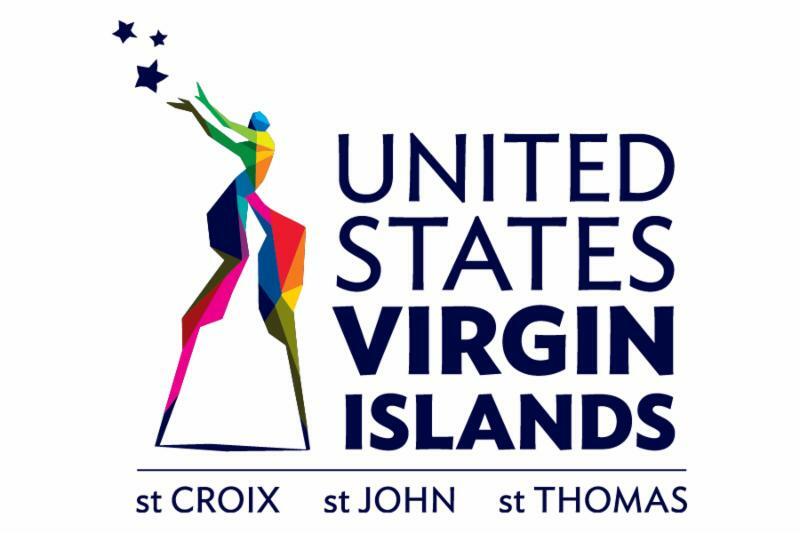 NEW YORK (April 7, 2017) - United Airlines will boost air capacity to the U.S. Virgin Islands (USVI) this summer. Commissioner Nicholson-Doty, who attended the meeting with Governor Kenneth Mapp and members of the Virgin Islands Port Authority, said the daily flights will operate from June 8 to August 14 this year, an increase from four weekly flights last summer. 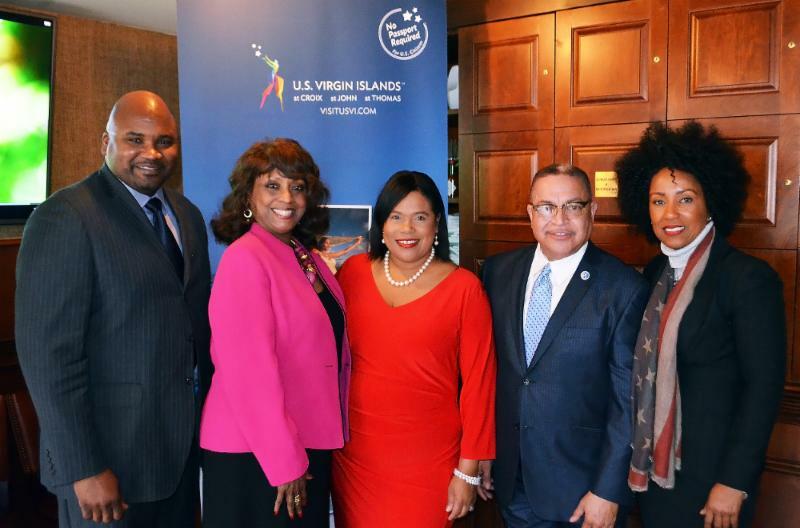 "United is reporting strong demand for the U.S. Virgin Islands and we look forward to the additional lift to the Territory, " she said, noting that the airline thanked the destination for offering a product that appeals to its passengers. The goal for the Houston-St. Thomas service is year-round flights. In addition to daily flights from George Bush Intercontinental Airport in Houston, United Airlines will once again serve Washington Dulles International Airport with daily service to St. Thomas this summer, and extend its weekly Saturday service from Newark, N.J., to St. Thomas beyond the summer months, through September and October. Commissioner Nicholson-Doty and Governor Mapp were in Chicago this week to meet with United Airlines executives, and to promote the Territory through a series of strategic meetings with travel industry partners. The Commissioner met with Chicago-based meetings and event planners, local elected officials and influencers, and was later joined by the Governor to address Chicago-area journalists and editors from outlets such as The Chicago Sun-Times, Ebony and PBS. IN CHICAGO THIS WEEK (from left): Illinois State Representative for the 34th District Elgie Sims Jr.; Debbie Meyers-Martin, President of the Village of Olympia Fields; USVI Commissioner of Tourism Beverly Nicholson-Doty; Riley Rogers, Mayor of the Village of Dolton; and Cassandra Matz, Trustee of the Village of Olympia Fields and Chief of Staff to Illinois Senator Michael Hastings. According to the U.S. Virgin Islands Bureau of Economic Research (BER), stay-over visitor arrivals to the Territory in 2016 were up 4.3 percent compared with 2015. St. Croix registered a 6.5 percent increase and St. Thomas/St. John was up by 3.8 percent. For the first two months of the year, stay-over arrivals were up by 4.5 percent over the same period last year, with St. Thomas/St. John reporting a 4.4 percent increase in arrivals while St. Croix was up by 5.3 percent. The Governor and Commissioner are currently in New York for additional meetings to drive awareness and increase visitors to the Territory.